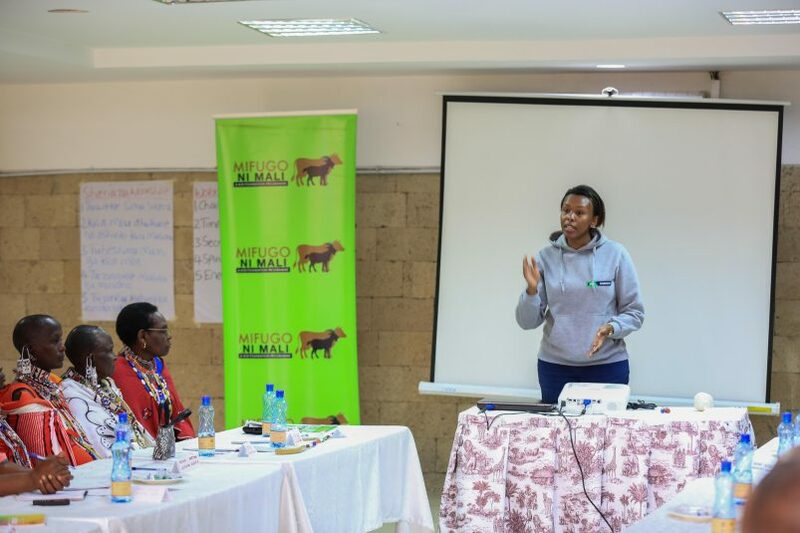 KCB Foundation Head of Programmes Rachel Gathoni addresses executive committee members of livestock cooperative societies during the training. Under the Mifugo Ni Mali programme producer organisations are trained on business development, financial literacy, risk management and insurance, governance, leadership and management, value addition as well as market development activities and collective bargaining. KCB Foundation has doubled its efforts to transform the livestock sector in Kenya’s arid and semi-arid areas (ASALs). The Foundation recently completed training of 334 executive committee members of livestock cooperative societies, beach management units and group ranches drawn from nine ASAL counties in Kenya under its livestock value chain development programme, Mifugo Ni Mali. 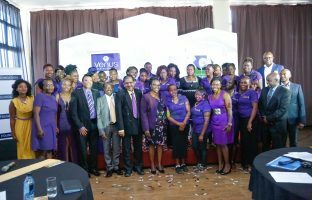 The training which is part of the programme’s interventions equipped the participants with skills on governance, conflict management, record keeping, financial management, business planning and credit preparedness. 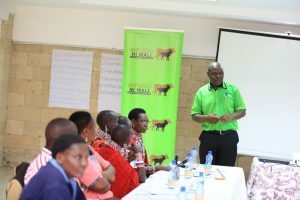 It was conducted to build the capacity of the executive members of the various groups involved in the beef, milk, honey and fish value chains in order to enable them take advantage of various KCB Foundation products including financing of their enterprises. The officials trained were from Laikipia, Baringo, Mombasa, Samburu, Taita Taveta, Narok, Marsabit and Kajiado counties. The immediate output of the training was preparation of business plans for financing by the Bank. During her key note address, KCB Foundation Head of Programmes Rachel Gathoni applauded the synergy between KCB Foundation and National and County Governments in addressing development challenges facing the communities. 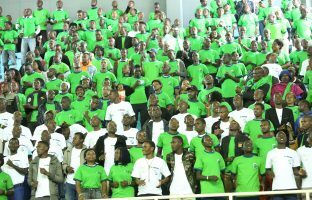 She challenged the participants to embrace value addition owing to its potential to create jobs and increasing incomes. KCB Foundation’s Programme Manager, Livestock Benard Barasa takes leaders of cooperatives through a session at the training. 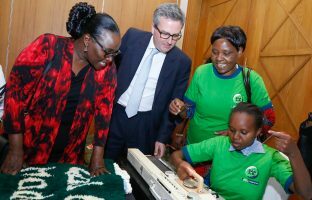 The trainings were graced by county officials in charge of livestock and cooperative societies, County officials at the office of the Governors and KCB Bank staff among other dignitaries. Mifugo Ni Mali programme aims at commercialising the livestock sector in the ASALs and transforming it into a vibrant segment where livestock producers can realise maximum returns.